L St. To E 3rd St.
Incredibly rare opportunity to enjoy the luxuries of City living without the sacrifice of conveniences in the suburbs! This massive 3 bed, 2.5 bath, 2 level home in an ELEVATOR building features luxury details & a number of comforts rarely found in one place. Highlights include a large living area w/ 2 sides of sun exposure providing fantastic natural light, a gas fireplace, beautiful built-in shelving, kitchen w/ wooden cabinets, granite counters, peninsula, stainless steel appliances and large dining area. Bedrooms are on the 2nd level including a killer master suite w/ a bathroom to die for w/ 2-sided fireplace, steam shower & jacuzzi tub. Also included are 2 garage spaces & large roof deck w/ incredible City views! 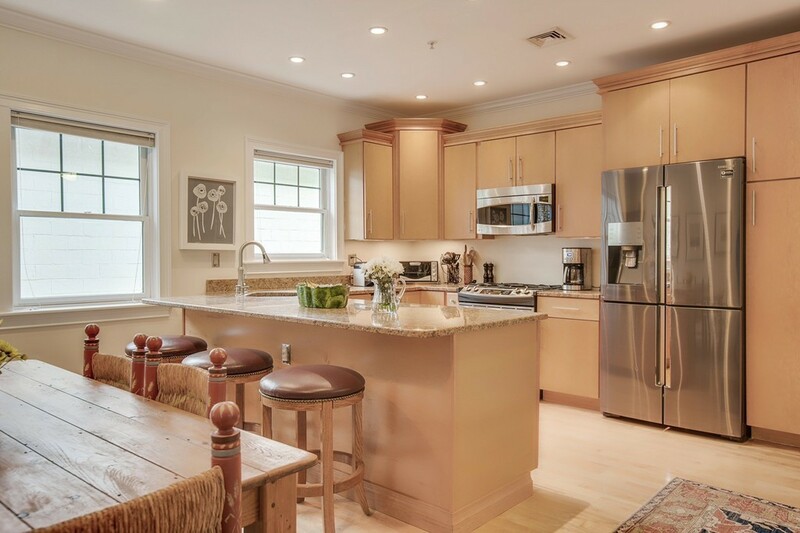 Steps from public transportation, coffee shops, dining, nightlife & only mins from the booming Seaport District, this home allows you to put off that move to the suburbs & continue to enjoy the City lifestyle w/ amazing amenities! spots for $450/mo on a month to month basis.